Explanation: The first identified compact galaxy group, Stephan's Quintet is featured in this remarkable image constructed with data drawn from Hubble Legacy Archive and the Subaru Telescope on the summit of Mauna Kea. The galaxies of the quintet are gathered near the centre of the field, but really only four of the five are locked in a cosmic dance of repeated close encounters taking place some 300 million light-years away. The odd man out is easy to spot, though. 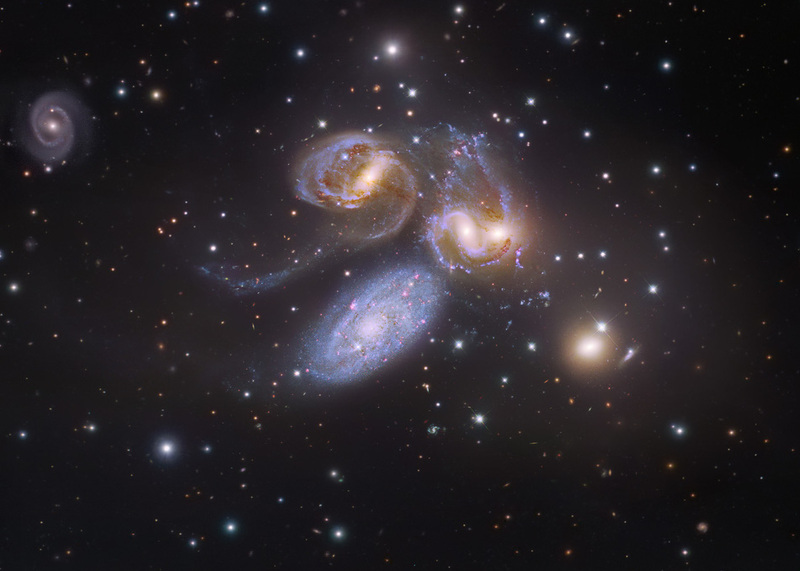 The interacting galaxies, NGC 7319, 7318A, 7318B, and 7317 have a more dominant yellowish cast. They also tend to have distorted loops and tails, grown under the influence of disruptive gravitational tides. The mostly bluish galaxy, NGC 7320, is in the foreground about 40 million light-years distant, and isn't part of the interacting group. Still, captured in this field above and to the left of Stephan's Quintet is another galaxy, NGC 7320C, that is also 300 million light-years distant. Of course, including it would bring the four interacting galaxies back up to quintet status. 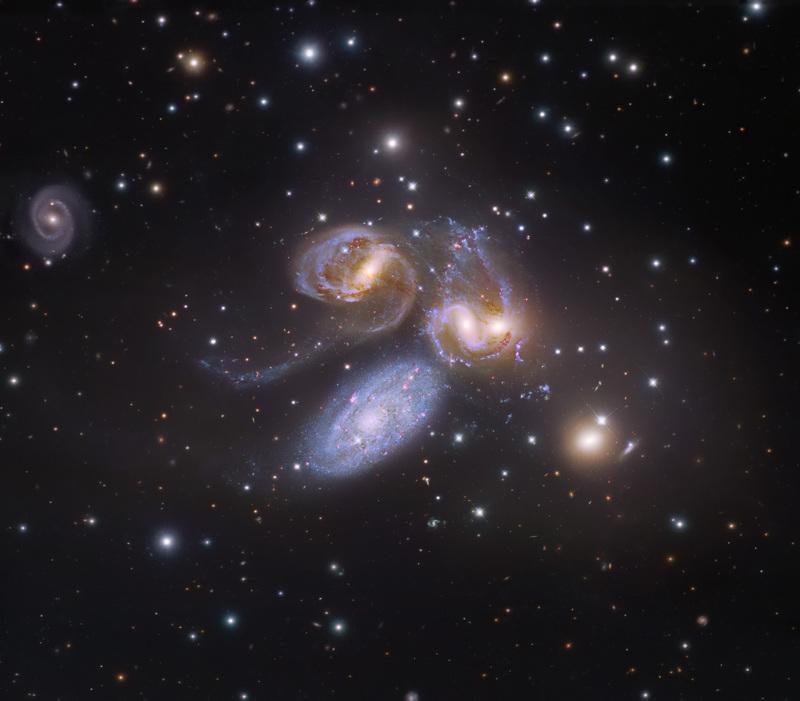 Stephan's Quintet lies within the boundaries of the high flying constellation Pegasus. At the estimated distance of the quintet's interacting galaxies, this field of view spans over 500,000 light-years.